This past week on Wrestling Mayhem Show 523, the Wrestling Mayhem Draft went into full effect, as Team Raw (Sorgatron, Rizz, Alex Kahrs, HotWheelz & Dudders) and Team Smackdown (Eamon, Mad Mike, Matt Carlins, BobbyFJTown & Tonio Garza) drafted their first ten roster members. For those unaware, these are the rules that had to be abided by. Each week there will be ten draft picks made by each team, resulting in 40 members on each team’s roster. Only individuals can be drafted. In order to draft a tag team or stable, you must draft each individual of that team separately. Only the in ring wrestlers listed below can be drafted. Managers will be included as a package with the wrestler that they manage. Championship belts that are held by members of the current roster will not be included if they are drafted. It will be implied that each team will have their own championships in play on their shows (1 Heavyweight Title, 1 Mid Card Title, 1 Tag Team Title & 1 Women’s Title). With that said, let’s see how things shape out so far. 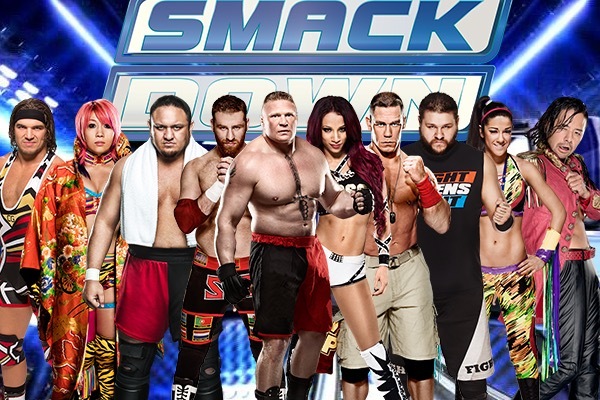 Next week, another 20 superstars will be drafted! Tune in to Wrestling Mayhem Show 524 to see how it all takes shape!